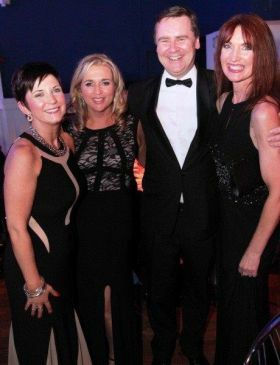 Enda Corneille (Country Manager Emirates), Jane Masterson (Executive Secretary) and Olwyn Mc Glynn (Senior Sales Support agent) are joined by a rising Celebrity in the Cruise world, Valerie Murphy. There could be a lot of ITIA Awards on these tables tonight. Good luck guys. Emirates recently unveiled their game changer B777 interior for servicing Dublin to Dubai for 2019, a real game changer.